Waking up ten minutes before the morning Muay Thai class starts, I realized that since I'm living on camp, I still had plenty of time to get ready. I quickly gulped down a protein shake, took a quick shower, put on my Muay Thai shorts and was ready for action. Since Phuket Top Team just opened, the class ratio was awesome, with 5 trainers and 4 students, we each got paired off to do pad work, clinching, and had someone there to walk around and help correct our stance, and technique the whole time. My favorite thing about the class at Phuket Top Team was that the trainers really seemed to care and were excited to teach. All of the trainers personally came up and shook my hand to introduce themselves and we had a nice time hanging out between classes. Talking to students from other Muay Thai Gyms the most common complaint is that sometimes they get stuck with a trainer that doesn't care. The problem with that is it's disrespectful to ask to change coaches so sometimes you just get stuck with someone that isn't the most helpful. Luckily at Phuket Top Team it seems like every single one of their coaches is passionate about teaching and helping you improve. Even though I had been doing Muay Thai for a year now and have had three fights under my belt. The first thing my trainer did was fix my basic kick by having my use my hip more and come up on my toes. It was great that he forced me to have good form and proper technique. Over all the Muay Thai Class at Top Team is very good and I'm impressed. My first MMA Class at Phuket Top Team was a success. The head coach is Silviu Dorin who used to compete in the Romanian Olympic Boxing Team and Combat Sambo. He then moved on and fought for the Red Devil Fight Team in Russia with Fedor Emelianenko and Vladimir Voronov. I've done a bit of Brazilian Jiu-Jitsu in the past, and combined with my Muay Thai it is technically MMA however, this was the first class where the forms where truly combined and Silviu taught me striking combinations ending with takedowns and transitions. One of my favorite moves was the footwork for the left jab, left hook, right cross to take down that we practiced today. Phuket Top Team also has a Brazillian Jiu-Jitsu coach Rafael Lopes all the way from San Pablo, Brazil. The great thing about having Rafael coaching is that he is an active fighter and not just a coach. He's also had a near flawless record in Vale Tudo, Muay Thai, MMA and Boxing. Plus having a BJJ coach that grew up and trained in Brazil makes the experience feel that much more authentic. Update: Phuket Top Team is currently doing a raffle to give away free prizes including Twins Muay Thai Shorts and Phuket Top Team T-Shirts - To enter just go to their facebook page and click "like" to enter. Johnny, looking at coming to a camp in December of this yr... been looking at TMT just b/c they had good prices, and all prices were clearly listed for budgeting purposes. How would you compare that to Phuket Top Team? Price-wise, experience-wise, accomodations-wise (PTT accomodations sound a little better...) What do you think is the latest I should book? And training-wise in preparation to coming...I saw you'd recommended someone else with no experience take some basic BJJ classes...anything else? I've done some traditional boxing when growing up, but minimal wrestling, and no muy thai, BJJ, etc. And I imagine tons of cardio? I know it's months away, but b/c I only have 3-4 weeks (I haven't taken the step of quitting the job like you) vacation, I want to maximize those few weeks I'm at a camp. Hey Mk, it's definetely good to plan ahead. I would suggest you work mainly on your cardio before you come. You should aim to be able to run 5k comfortably. Also be able to do three sets of 30 pushups. Price, experience and accommodations both PTT and TMT are very simular. The biggest difference between the two camps is the size. The pros of Tiger since they are bigger is that it is very organized. While PTT is small so they just go with the flow sometimes. Either way I would recommend you book as far in advance as possible, but even then on site accommodation is never guaranteed since people almost always end up over staying. But as long as you don't mind paying 10,000 baht a month for a nicer room there are plenty of options. Good luck and let me know if you have any other questions. By the way, when you book it you can mention you saw it on my blog. Quick question, on-site is obviously preferred option for lodging...but if none available, is it difficult to find nearby? And when I book, will mention I saw it on your blog for sure. I totally hate running too, but it's just something that you gotta do. Fighters run. Period. For me I started off just walking a much as I could, then stepped it up to a light jog. I'm still can't run 5k, but I'm working on it and I wish it was something I would have started long ago. For lodging, there are so many rooms now on the same street as the training camp so no worries about finding a place. Most places off site are going for about 7,000 baht ($234US) per month and come with A/C. Johnny, talking to a British friend of mine who's trained in Phuket, he said that I when I go in December, I should expect it to be pretty packed as that's high season, esp at TMT as it has the reputation. Says I may have a better experience at at a gym called Sinbi. Heard anything about it? He didn't know about PTT, so going on your experience for that...still enjoying it? Hey MK December will definetely be packed as it's super high season then. I haven't trained at Sinbi so I don't know anything about it. I checked out their website and I'm shocked on how expensive it is for a Thai style gym. 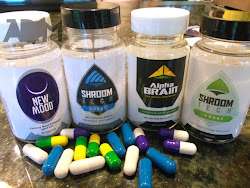 Things are still good here at PTT, I'm planning on doing a blog post with a 1 month update soon. Thanks for the reminder. Thanks for the recommendation Alex, I've heard good things about Sinbi Muay Thai and the location being near Nai Harn beach is excellent. 19,000 baht a month ($633US) for training and to share a 3 person room. 32,000 baht a month ($1,066) for a private room with training. Prices seem very high compared to other Muay Thai only gyms, and are even a bit more expensive than the gyms that offer both MMA and Muay Thai. Sinbi does have a good reputation though, and I'd love to come check it out sometime and do a proper review on the place. How many times a day did you train/ how many hours, at PTT? Did you train every day of the week? Hey Gareth, you can read my blog for an article called "Over training" where I talk about it in more detail. But for me I'd train 1x a day 5 days a week on average. For 2.5 hours a day. Do you have any preference? My fear is that TMT will be too packed and that the traineers will spend less time with one on one practice. Hey Quentin, glad you're enjoying my blog and traveling. I purposely didn't write which one is better Tiger Muay Thai or Phuket Top Team on my blog as it's public and I want to stay on good terms with both gyms. 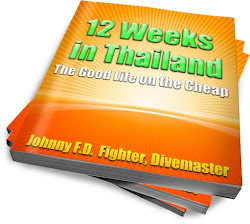 However, I wrote specifically which one is the best in my book www.12WeeksinThailand.com - If you're thinking about spending 2 months there buy and read the book, it'll save you much more than the $10 it costs on amazon. Ha yeah i think i'm gonna buy it along with some of your book suggestions, the thing is i don't have a fixed address right now, plus i think i need to hurry up to book it . I totally understand though. Do you have a private mail? OT: Is it really Manny Pacquiao's last fight ? Manny Pacquiao remain adamant that he will retire from boxing after his fight with Timothy Bradley on Apr. 9 in Las Vegas. But the Filipino boxing icon also revealed he is open for a comeback once he hangs up his gloves.